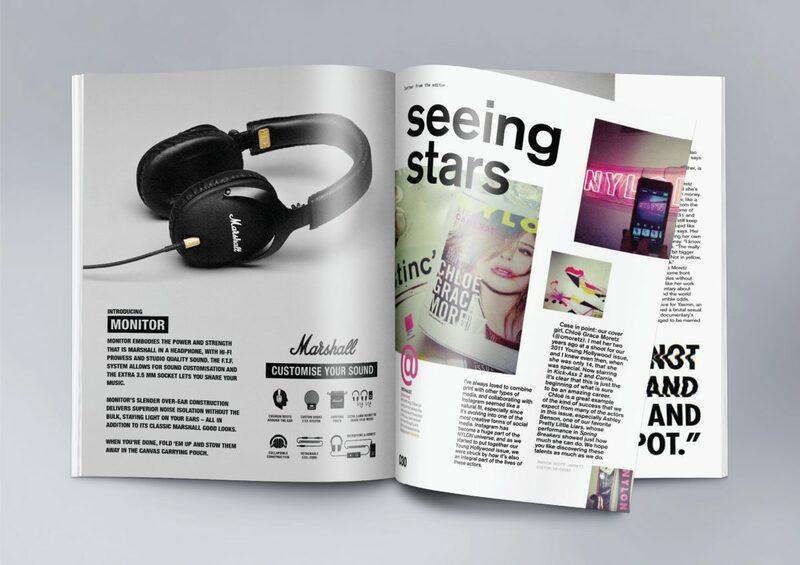 Full page advert design for Marshall Monitor headphones. I wanted to highlight the features as well as make the headphones themselves the hero image of the ad. Run in NYLON, Juice and many other magazines.